Looking for an ultra simple and painless way to remove unwanted facial hair and around eyebrows? 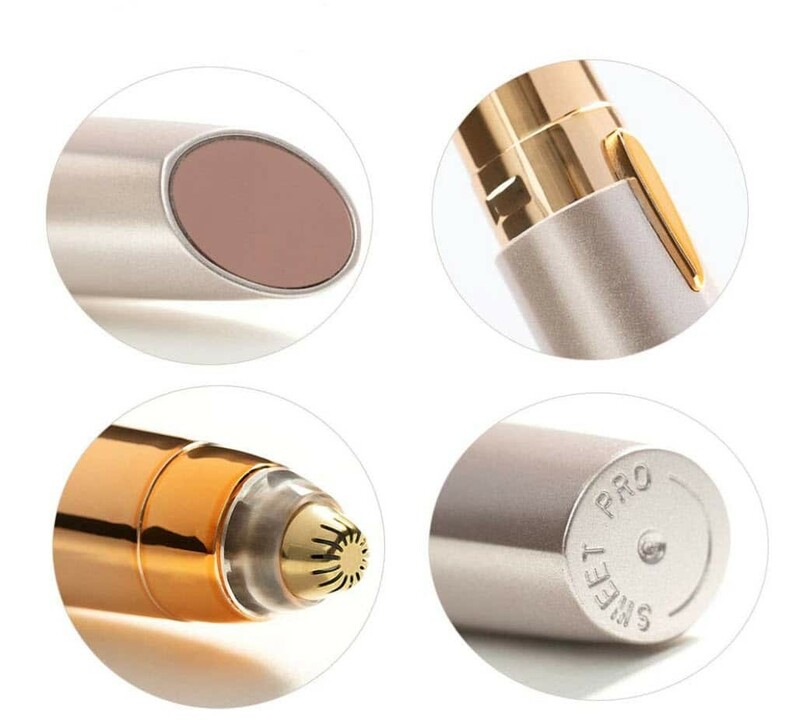 Eyebrow Hair Remover Painless is a professional women’s Painless Hair Remover it removes facial hair and around eyebrows. Now you can remove unwanted facial hair home without pain! 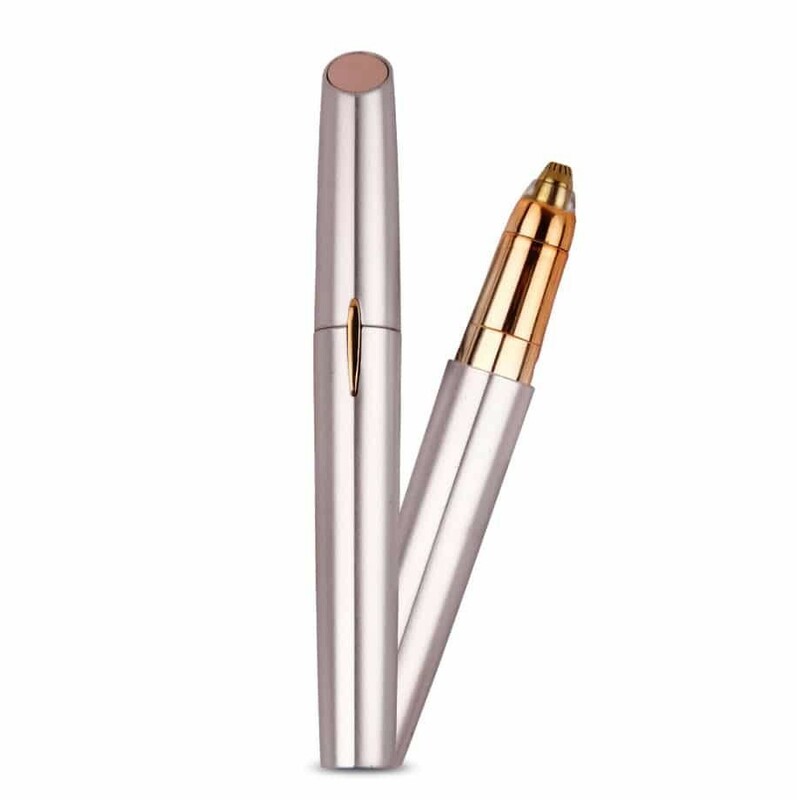 Mini pocket style eyebrow hair remove painless is specially designed for elegance fashion ladies, which also makes it a considerate companion for your confidence and beauty. 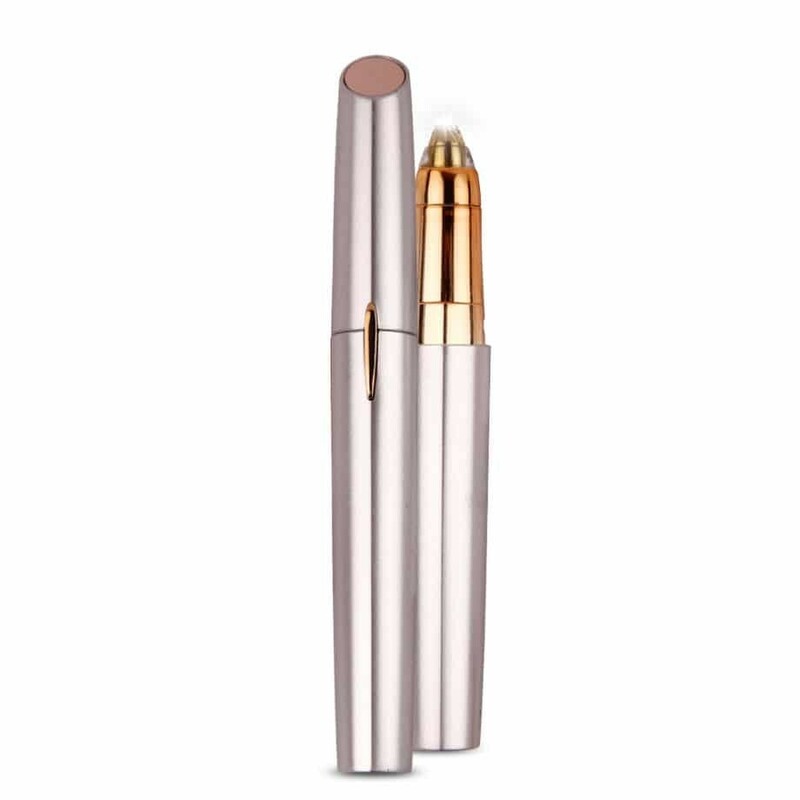 The 18K gold-plated head is hypoallergenic and gentle on all skin types. No nicks, redness or irritation. A finish as smooth as waxing. 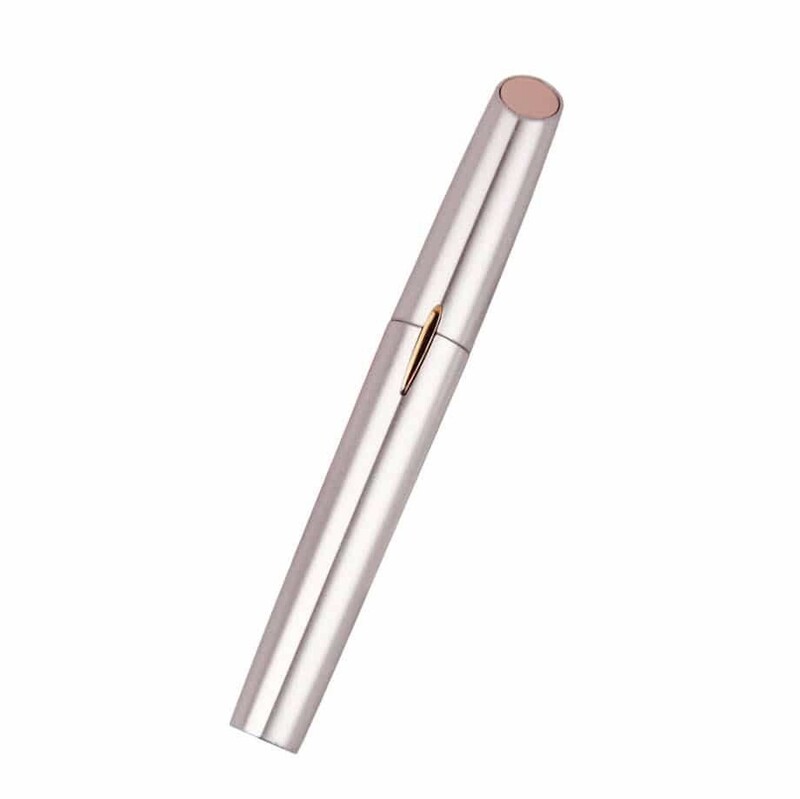 And, with eyebrow hair remover Painless, your make-up is easy. • Slide the on / off switch located on the side of the unit upwards in the “On” position. • Gently press the head of the device flat against the skin. The device should not be at an angle. Continue to make small circular motions to remove unwanted hair . It is normal for the head to become warm when used. • Turn rotating hair removal head counterclockwise and lift away. • After each use, clear your head by using a brush (which is included) to wipe off hair residues. • Empty all hairs from the body of the device by turning it over and gently tapping it side. Powered with 1 AAA battery not included!